I have treated myself to some pretty little and not so little things recently. 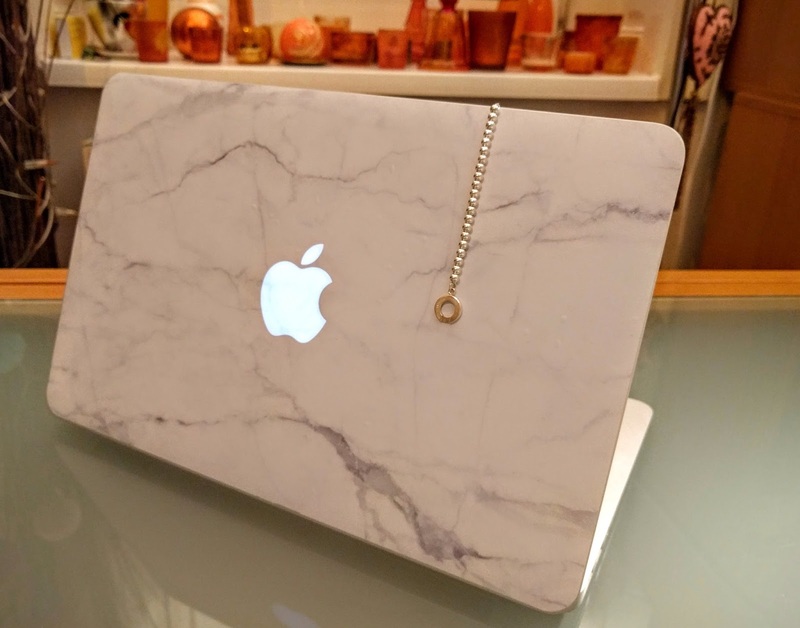 Among them an 11" Macbook air (for which I immediately ordered a marbled vinyl decal) and silver Tiffany's bracelet. Well, the latter was actually more of a belated Christmas present bought with money I got from my parents. I love both and while I had been toying with the idea of purchasing a private Macbook rather than using my work one at home as well for quite some time, the bracelet was an impulse buy and I was in and out of their Vienna flagship store in 5 minutes or so. 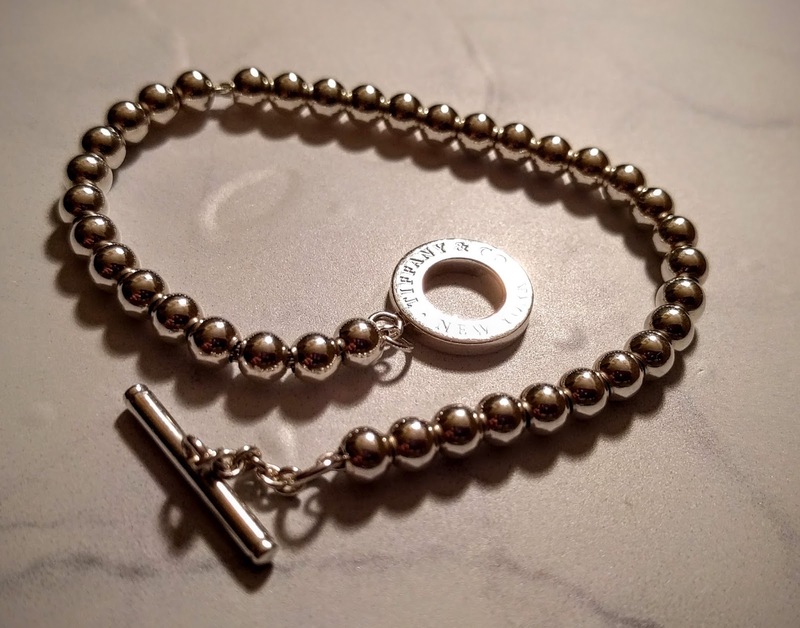 Last summer, I bought a "Tiffany's inspired" charity bracelet in Australia, which of course was only silver-plated and got tarnished rather quickly. Unlike the (very) pricey original, it was on an elastic band and I loved it for its practicality. I don't like typing with clunky bracelets and would often take off my arm candy at work. I therefore opted for the only type of bracelet available - at least in Vienna - that has an easy closure that you don't need assistance with every time you want to take it on or off.